I love to see my neighbours Halloween (and soon Christmas) decorations and displays. 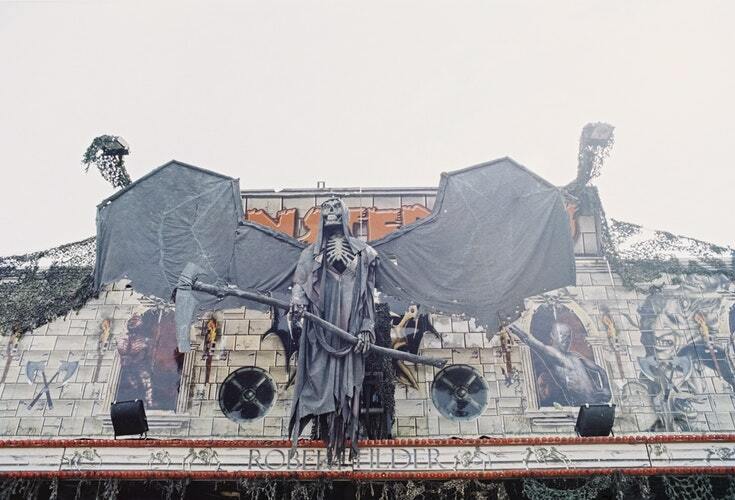 Some displays are simply a pumpkin with some straw or corn husks while others go above and beyond with elaborate mechanical skeletons and ghosts. In the past I have always used my pumpkin topiary with a few real pumpkins thrown in but recently I’ve been wanting to do something a little more fun. 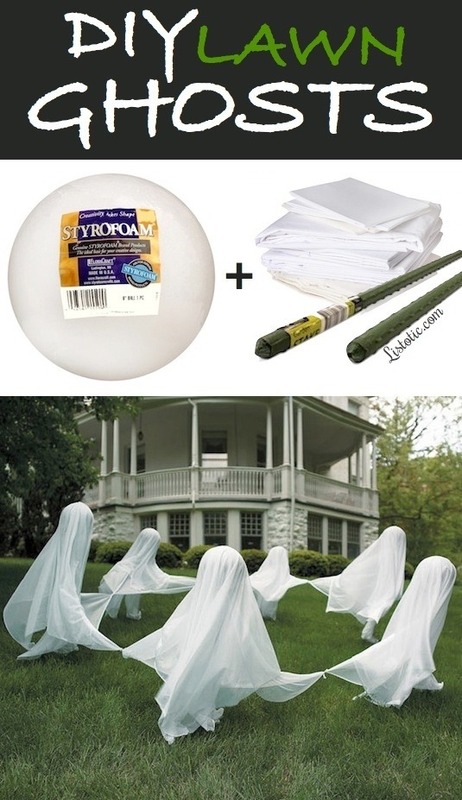 This brought me to Google…and Pinterest…which aloud me to gather the Top Outdoor Halloween Decor Ideas! 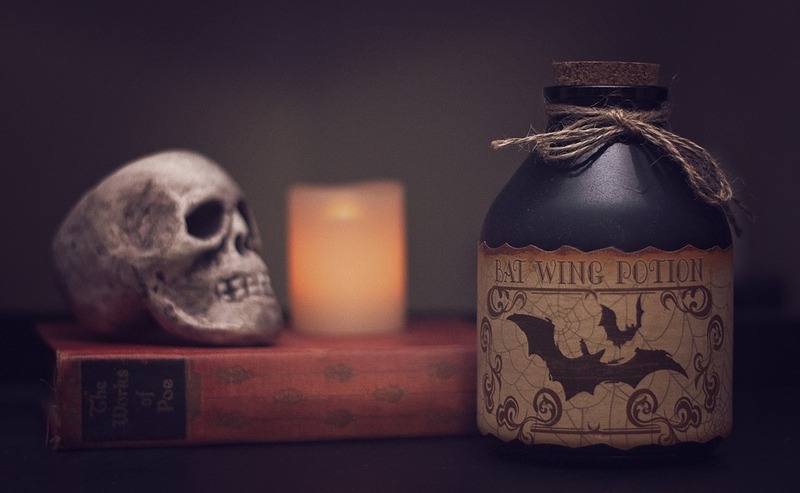 There are many ways to decorate your home for halloween, but the one thing that looks the best is consistency! It needs to flow. You can achieve that by using the same type of decor, colour or theme. And don’t forget, less can be more! I’m going to show you some of the top Halloween decorating tips that I found during my searching, so stay with me. There’s going to be some spooky birds, ghoulish ghosts and glowing lanterns. Let’s get into the Top Outdoor Halloween Decor Ideas! 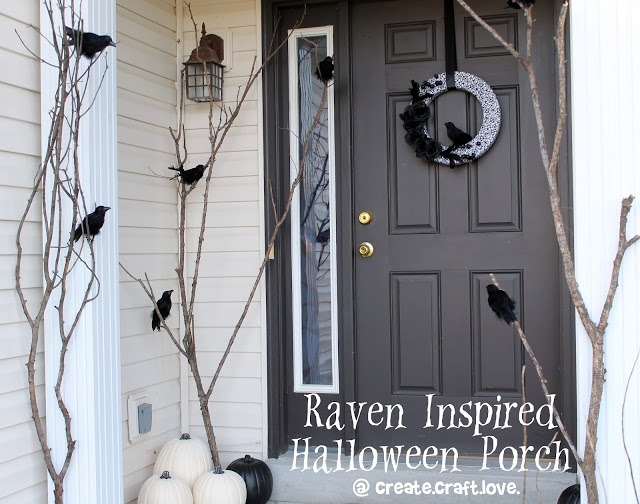 First up is this eerie Raven Inspired Halloween Porch by Create, Craft, Love. This outdoor halloween decor really caught my eye because it’s simple yet impactful! 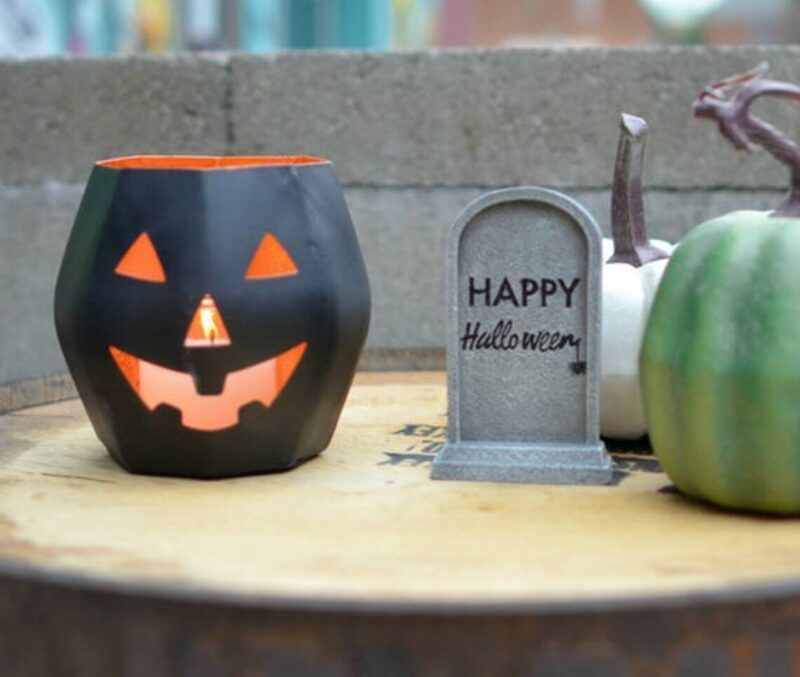 You can find the ravens at your local dollar store and the branches from your backyard or walking path, the black and white pumpkins are a perfect addition and if you don’t want to spend the money at the craft store, spray paint some real ones. 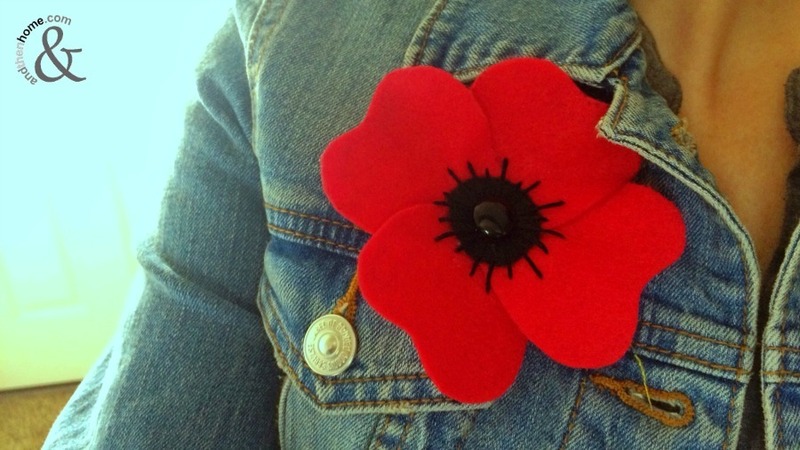 This one is also very easy and inexpensive to create but looks fantastic on the front lawn. And really, it’s all you need to decorate your home! Outdoor halloween decor can’t get better then this. You could add some black eyes to these ghosty faces, or leave them with none to give an extra creepy vibe. See Listotic for these ghosts and more. This one is great for kids and adults alike. 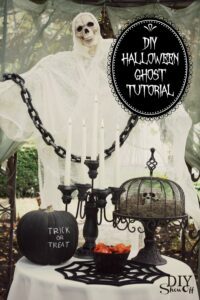 Turn a simple gourd into a ghoulish ghost!! Very cute, super easy and halloween effective. This project gets an A+ for meeting all the important criteria for those on the go. These gourds are perfect to transform the outdoor decor you already had for fall. See how to make these ghosty gourds by House of Hawthornes here. Loving the list? 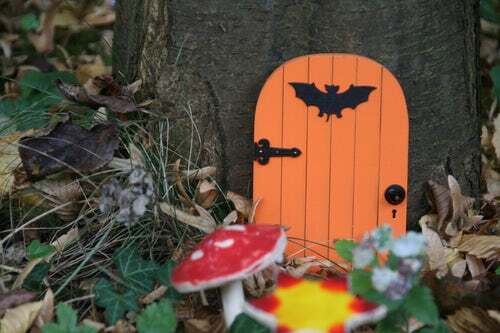 There’s more Top Outdoor Halloween Decor Ideas! I love this set up! The white DIY ghost in the background finishes off the black and white props on the table. The black caged skull is perfectly placed with minimal effort. This is what I was talking about when I mentioned having a theme, all of the items go together, creating a high end look! Check out the DIY tutorial at DIY Show Off here. This one is from Pinterest, there are a couple others too, but this one really stood out for me. It’s super creepy because all of the elements work together. 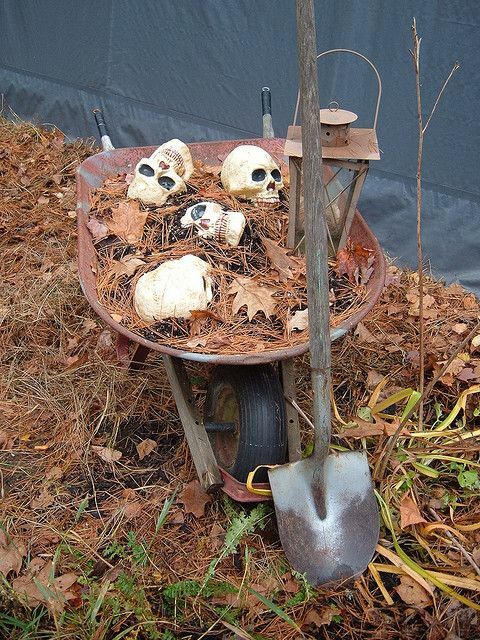 The old rusted wheel barrel, weathered shovel and matching lantern all help to make this outdoor halloween display come to life. Adding some leaves and browning long grass around the skulls keep it realistic…and by using only skulls and not bones, it tells a story! Love this! Let’s not forget a lighted pathway! This look is mysterious or enchanting, however you want to view it. 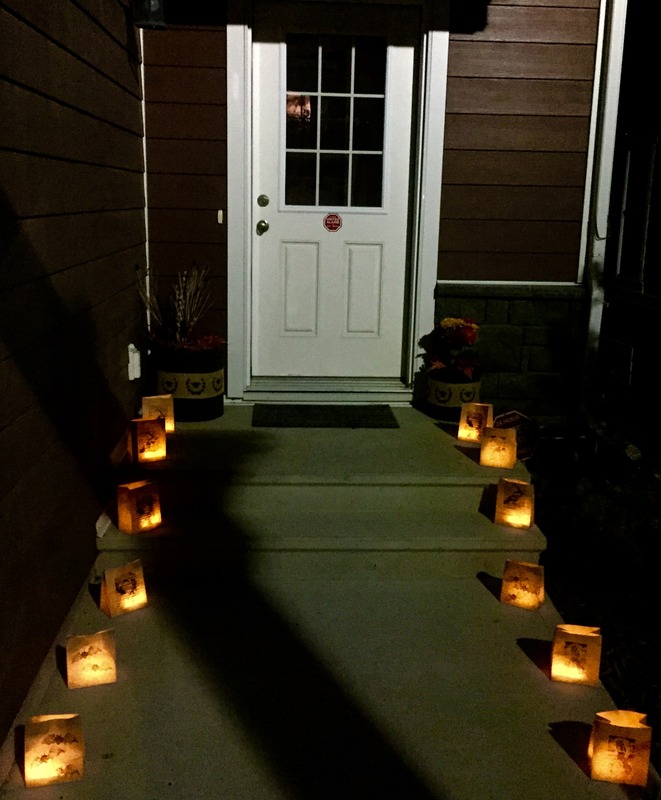 It’s an easy way to light up your home for halloween. Add some hay bails and some pumpkins and your all set for halloween night. Be sure to use battery operated ‘candles’ for this project! See the easy tutorial by And Then Home here. 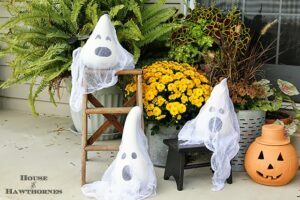 These are just a few of the awesome DIY outdoor halloween decorating ideas I came across during my search. I hope you found one or two that will work for your halloween home! If you’re looking for some indoor halloween inspiration check out our Glam Pastel Jewelled Skull Decoration.